This is a Short Film to Create Awareness on Child Rights and Protection. Presently produced in Kannada language with English subtitles. Need funds to upgrade the film with professional inputs and dub it in Hindi for all India release. 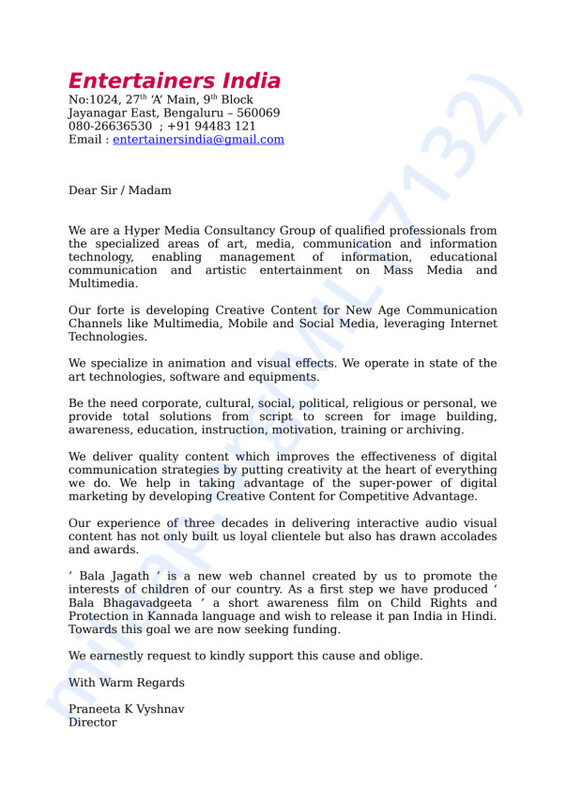 We are withdrawing funds to make payments towards the animation company and voice overs artists.